In the summer of 2001, I came to own the motorcycle I've craved for the past 15 years. Unfortunately, this project has been sidelined due to The fact that we're living in China. Here is a twiddled b/w scan of my beauty parked in the woods. 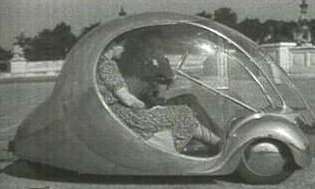 John Jensen thinks this is the genisis of the Bubble car. It was shown in 1943 by a french artist named Paul Arzens. 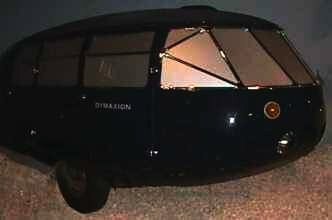 When I was a small child my parents owned two of these amazing little cars. Since my teens I have been possesed with an intense desire to own one (or several). 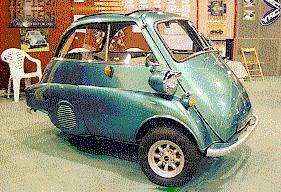 The Isetta 300 is a small urban commuter car. 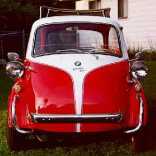 Manufactured by BMW in the fifties and early sixties, the Isetta 300 and it's larger (and very rare) sister the BMW 600 offered many unusual solutions to the problem of efficient, simple, inexpensive basic transportation. Hand scanned from a post card and twiddled. 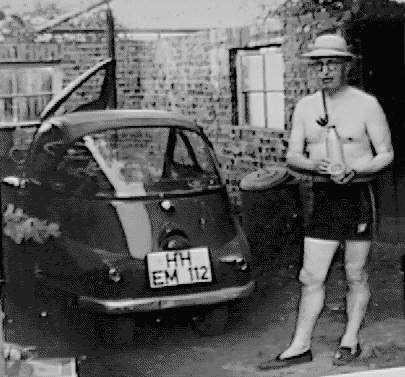 in Germany behind an Isetta. Someone's got a sense of humor. 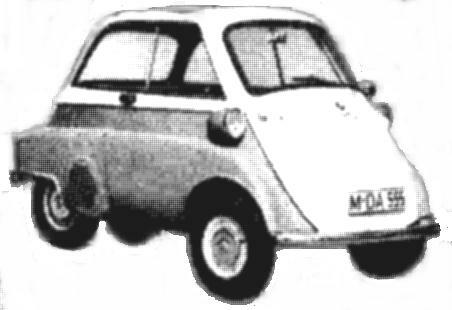 I made The best cut, fold and paste Isetta on the web, Based on pictures of Bob Nelson's Red and white machine. 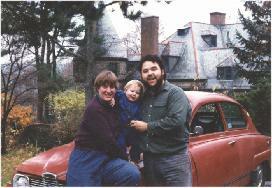 Bob has an exceptional web page devoted to his car and the isetta in general. But wait! Not all Isettas are BMWs. Here is a great site that explains the international lineage the Iso company, and our favorite bubble. Here's a picture someone sent me from The National Auto Museum in Reno Nevada.